This book provides a focused approach to learning GIS by offering easy-to-follow exercises for the most commonly used procedures. 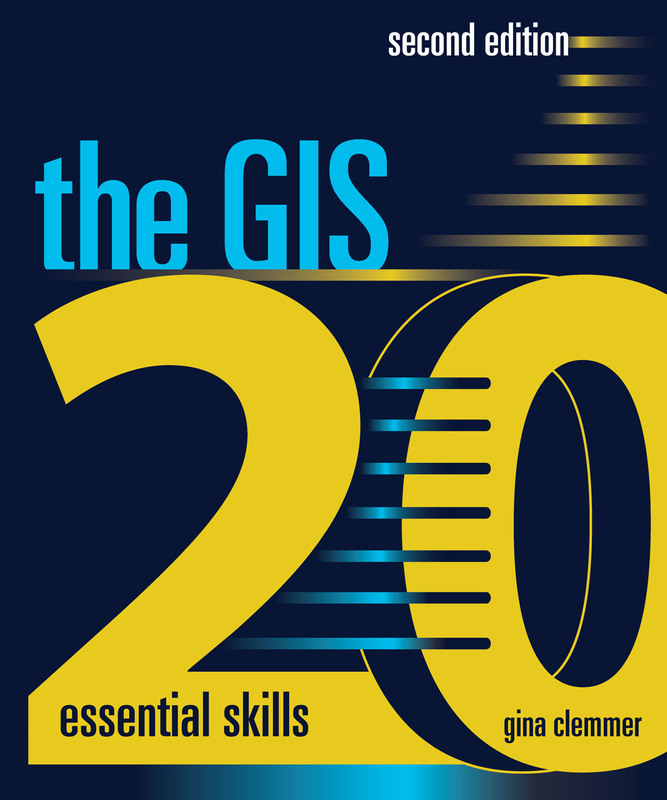 Redlands, California—The GIS 20: Essential Skills, Second Edition, by Gina Clemmer, is an indispensable workbook that helps readers master the top 20 skills necessary to become proficient in using ArcGIS software. It is a direct result of a survey that Clemmer conducted with GIS professionals to determine the primary skills needed to be a successful GIS user. The book is a quick read and presents step-by-step instructions, illustrations, and practical tips on how to perform the fundamental skills needed to effectively use GIS. These skills include finding and editing data, querying GIS maps, creating reports, and sharing and publishing maps. The second edition offers nine bonus topics to further advance GIS skills, exercise data on an accompanying DVD, and ArcGIS 10.1 for Desktop software (180-day use) to work through the exercises. 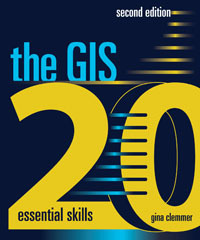 "The purpose of the book is to provide a focused approach to learning GIS by offering clear, easy-to-follow exercises for the most commonly used GIS skills in the industry today," says Clemmer, "It is written for professionals with no time for classroom training and can be used for independent study or an as-needed reference." Clemmer is president of the research and training company New Urban Research, Inc. Over the years, she has trained thousands of GIS users throughout the United States. Clemmer holds a master's degree in urban planning from the University of Iowa. The GIS 20: Essential Skills, Second Edition (ISBN: 9781589483224, 204 pages, US$49.95), is available at online retailers worldwide, at esri.com/esripress, or by calling 1-800-447-9778. Outside the United States, visit esri.com/esripressorders for complete ordering options, or visit esri.com/distributors to contact your local Esri distributor. Interested retailers can contact Esri Press book distributor Ingram Publisher Services.